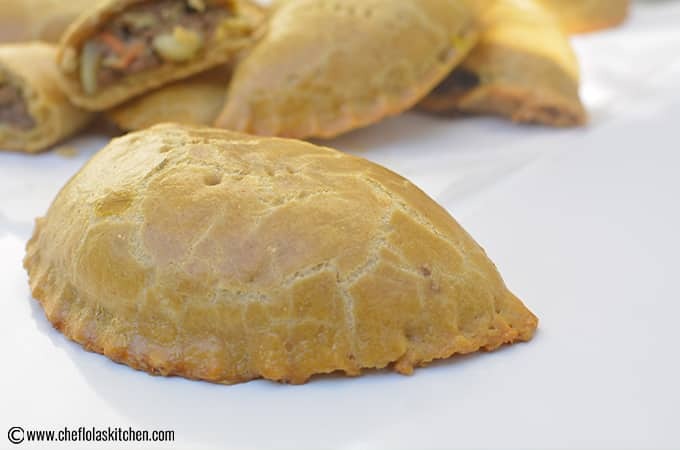 The West African Meatpie is an exotic snack that is made up of a pastry case with beef, Diced Potatoes, and diced Carrots filling. 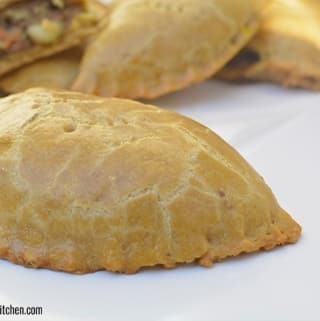 This wheat version provides a little healthier variation to the Meat pies I grew up with? 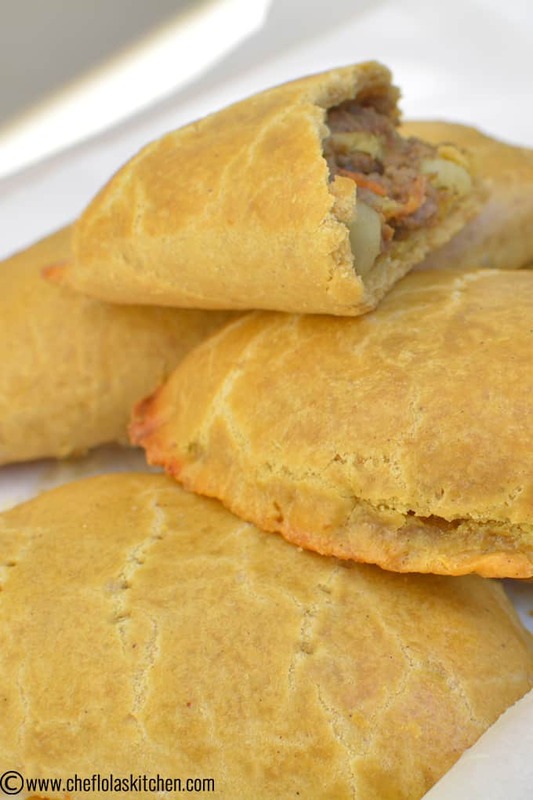 Try these whole wheat Meat pie recipe. These pies have a rich nutty flavor. 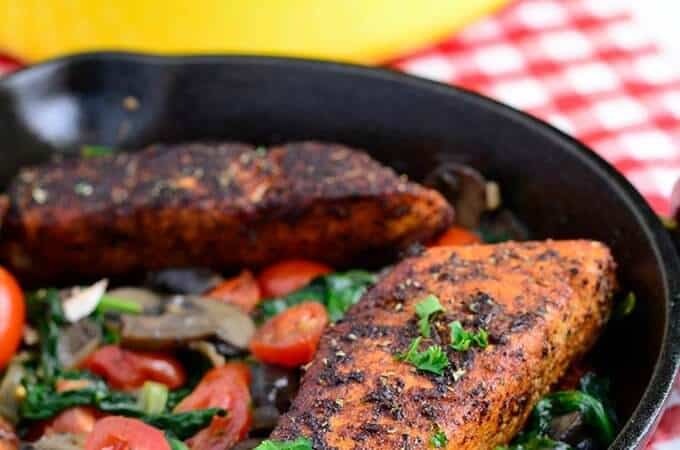 They are irresistibly delicious with a rich and tender crust. 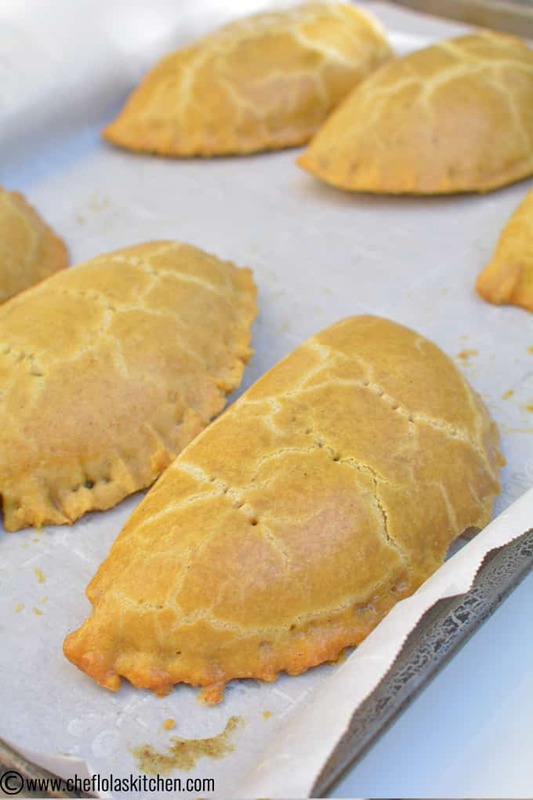 The whole idea of this Whole Wheat Meat pie is to make a Meat pie that is more nutritionally superior so that I can enjoy the indulgence of eating Meat pies with little to no guilt feeling. Though the quest began with me, however, I discovered myself and hubby got totally glued on it. 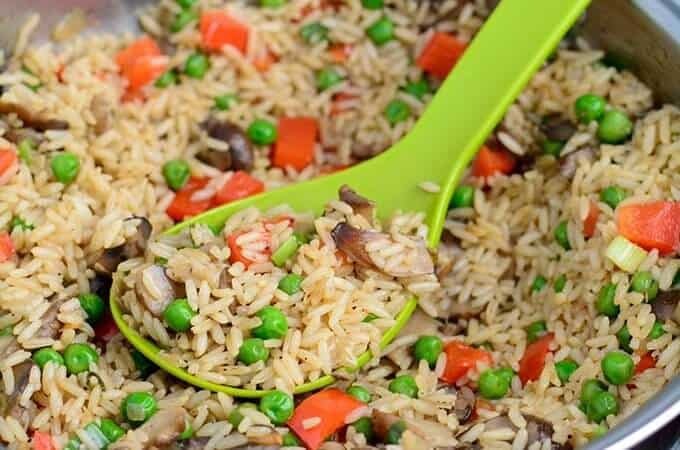 Not just that, my picky eaters also joined in. The word ”best” is a word I try to shy away from but these whole Meat pies are so good and the only word I can use is nothing but the best in this situation. 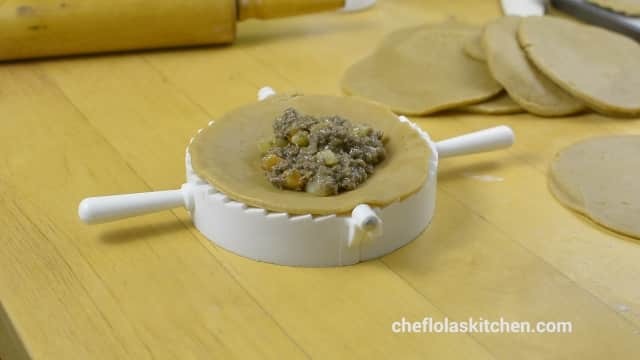 For some reasons, when it comes to making Meat pies, (Meat pies in general, not only the whole wheat meat pies), there is a feeling that it’s so hard to make because of the laid out instructions on how to make the meat pie crust, how to make the meat pie filling and how to put both together. As hard as this may seem, believe me, it is not that hard. The crust takes only about 10 minutes to put together and the filling takes about 15 to 20 minutes. Another fear that is often experienced is that we always want our pies to come out perfect. Hmm….please, don’t wait for this time because it may never come. Practice, they say makes perfect. Get your hands working, try the first time and learn from the mistake you made on your first attempt, then venture into a second attempt. Before you know it, that long-awaited perfection will come. 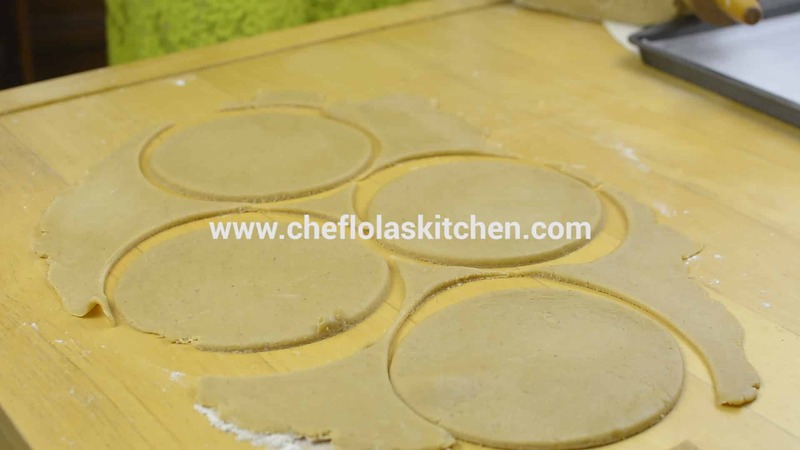 The process of making the whole wheat Meat pie is slightly different from the regular white flour Meat pie because the whole wheat flour can be a little hard to work with especially when making pies. That is the reason why I added Egg in my recipe. 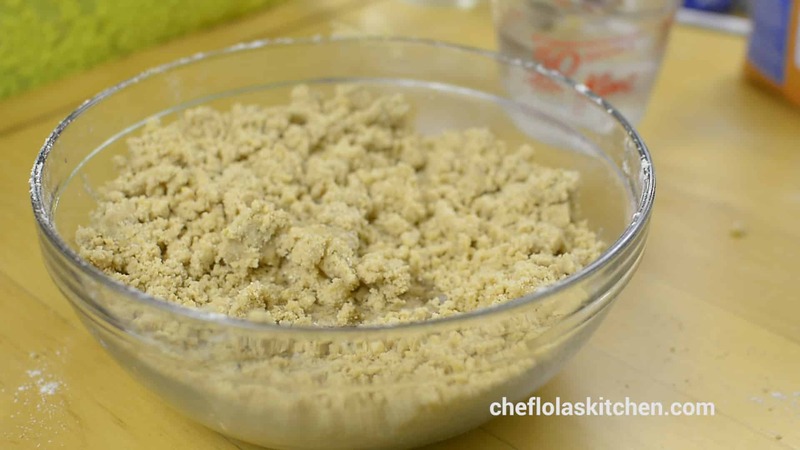 This will help to give the sufficient moisture the wheat flour needs in order to come together properly without resulting into a fragile pastry. If you really want your meat pie to turn out flaky, then ensure that you use your Butter/Margarine and Water are really cold. Since the whole wheat meat pies are made with a hundred percent ground whole grain, lots of factors can affect the outcome. 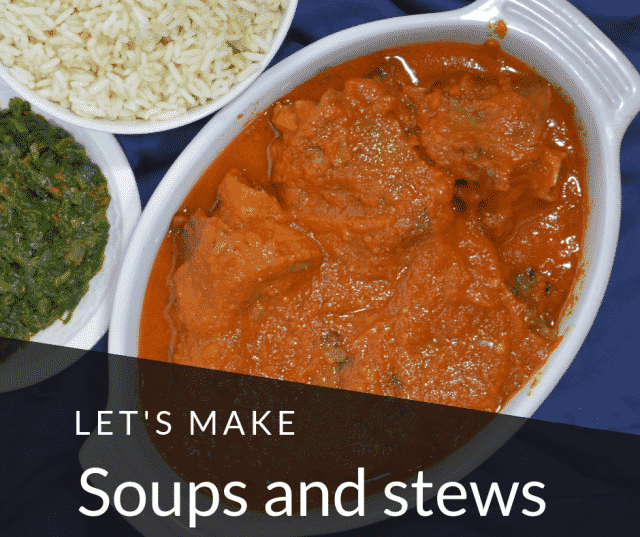 Please take time to read the notes provided below after the recipe. 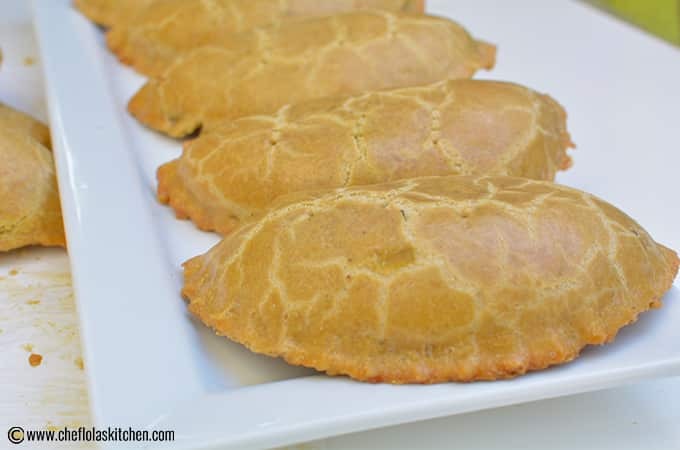 They serve as good pointers to ensure that your whole wheat meat pies turn out perfect. This whole wheat meat pie recipe yielded 12 medium-size pie both in the American standard cup measurement and the Metric measurement. You can calculate the quantity of ingredients you will need if you need more or less. Good luck with your calculations. 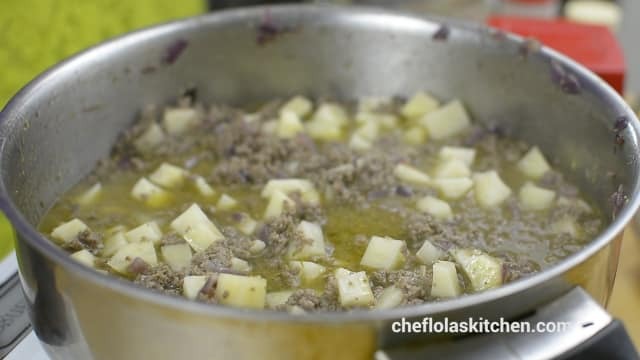 In a large pan, preheat the Oil then add the diced Onion. Stir-fry till the Onions becomes translucent and limp. 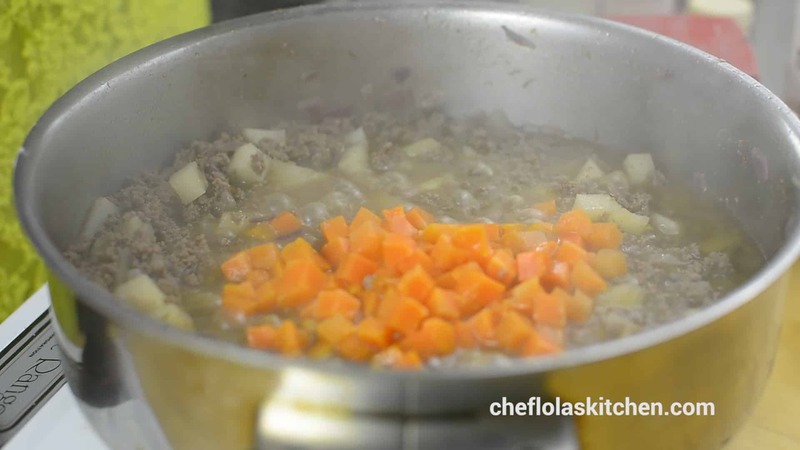 Add the minced Habanero pepper to give it some heat and aroma then you stir-fry for a few seconds. 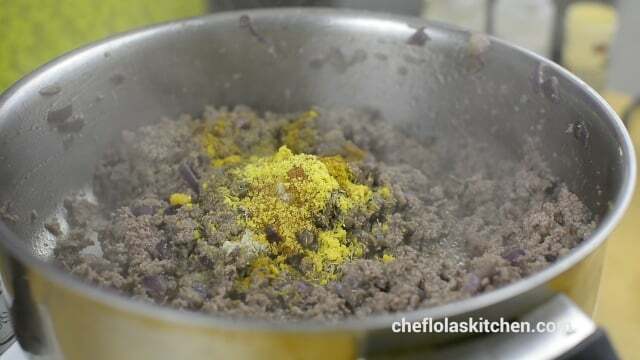 Then add the ground beef. 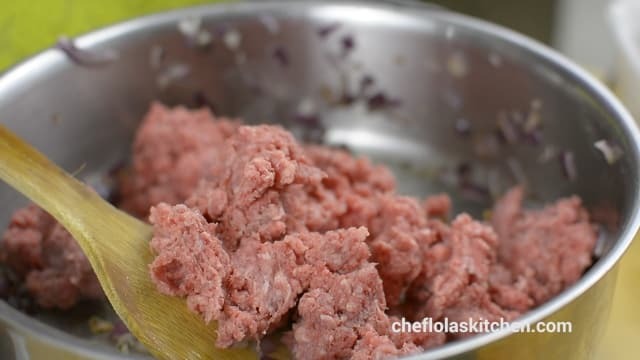 Try to break the meat apart as you don’t want clumps forming in the filling. 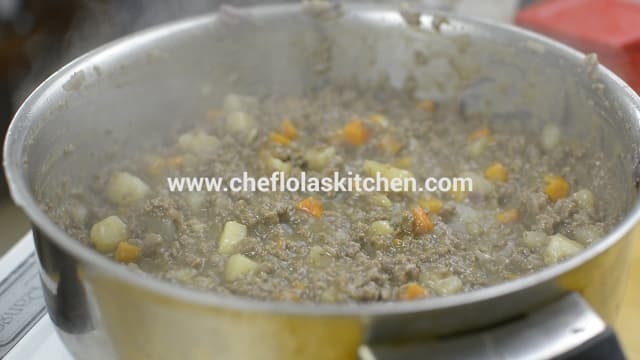 Once the beef is well browned, add your spices and the diced potatoes plus enough water to cook the potatoes till it becomes tender. Stir in the diced Carrot and cook again for another 5 minutes. Add the cornstarch and water mixture to slightly thicken up the filling and leave to simmer for about 2-3 minutes. 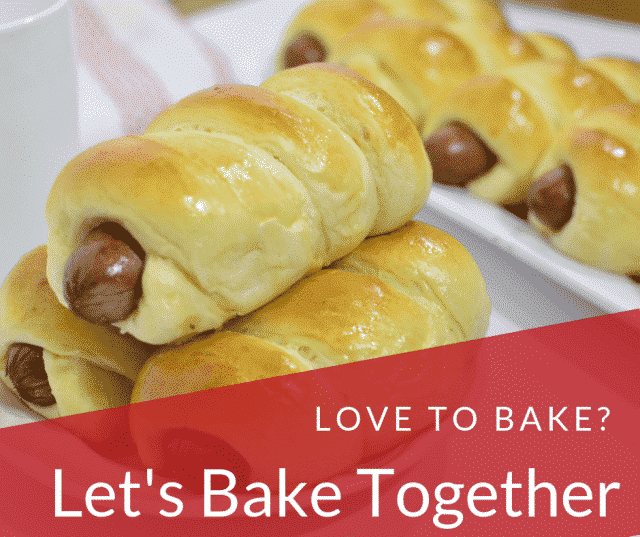 Take it off the heat and let it cool down while you prepare the pastry dough. In a large bowl with estimated size to contain your dough, bring together flour, baking powder, nutmeg, salt, brown sugar, and whisk together. Add the cubed butter or margarine, to the dry ingredients and work the butter/Margarine into the flour with your hands until it becomes crumbly. 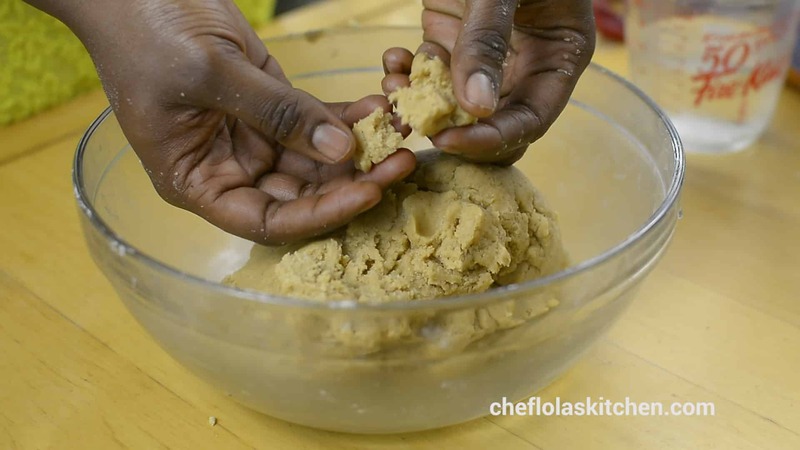 Add the Egg and mix it into the flour until it is well incorporated, then, begin to introduce the cold water a little at a time and use your hand to toss the flour into the Water until it's fully absorbed. Once the dough is formed, cover it up with a plastic wrap and put it in the fridge for at least 20 minutes. 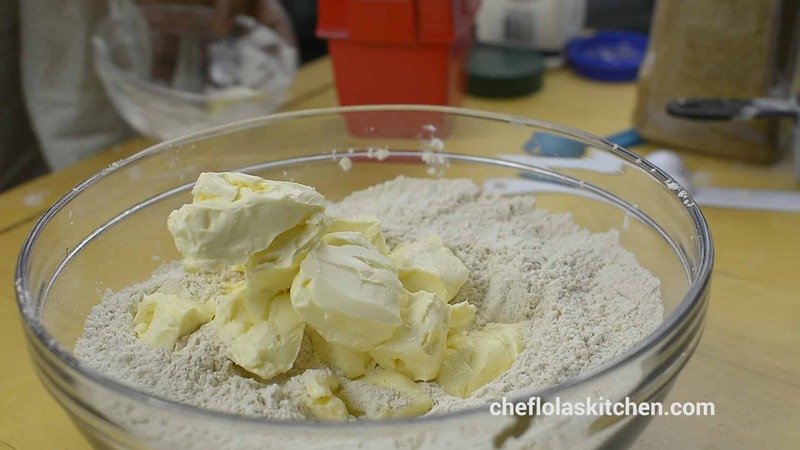 After 20 minutes, take the dough out from the fridge, and roll it out on a lightly floured work surface. Then use the medium size pie cutter to cut out your circles. 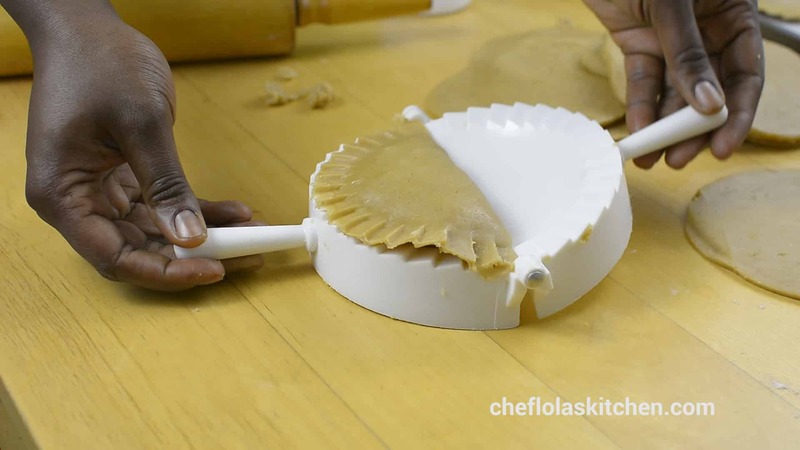 If you happen to not have a pie cutter, you can use any circular object around the house to cut out your dough. Place the pies in a 350°F preheated oven and bake for 25 to 30 minutes till the surface of the pie becomes golden. 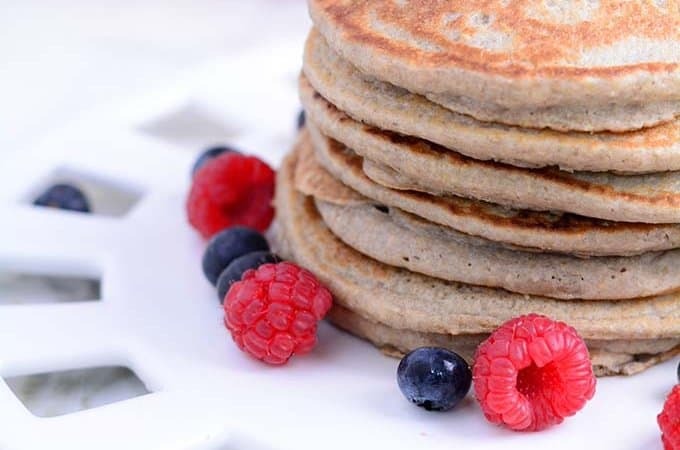 It is best served while still hot Serve as breakfast with a Cup of Tea, for brunch or evening snack with a chilled drink. Don't overwork the butter/Margarine otherwise, it will become warm. If that happens, just pause and let it cool in the fridge until the butter hardens up before proceeding. You can either use butter alone or Margarine alone or the combination of both in any ratio you want but bear it in mind that the more butter in the pie, the flakier the pie will be. 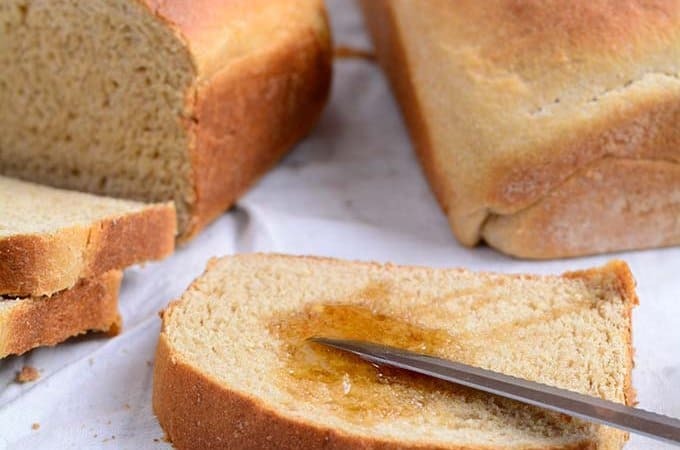 Do not let your dough come back to room temperature as it will ruin the crust. You can now knead the dough for a couple of seconds to get it relaxed. If you find the dough a little hard after removing it from the fridge, simply leave it on the table top (still covered) for a few minutes until it becomes workable but don't allow it to come to room temperature if you really want a flaky pie. The extent to which you roll out your dough is dependent on your personal preference. If you want it thick roll it out thick and if you want it thin, simply roll it out thin. The cut out circles tends to shrink a bit when left alone. If you choose to use the pie cutter to close up your pies then use your rolling pin to roll it out give it a little stretch so that it can fit the pie cutter Try not to overfill the pie otherwise, it might leak or burst open while in the oven. The egg wash that was used before sealing the pie serves as a ''glue'' to bond the sides of the pie together. 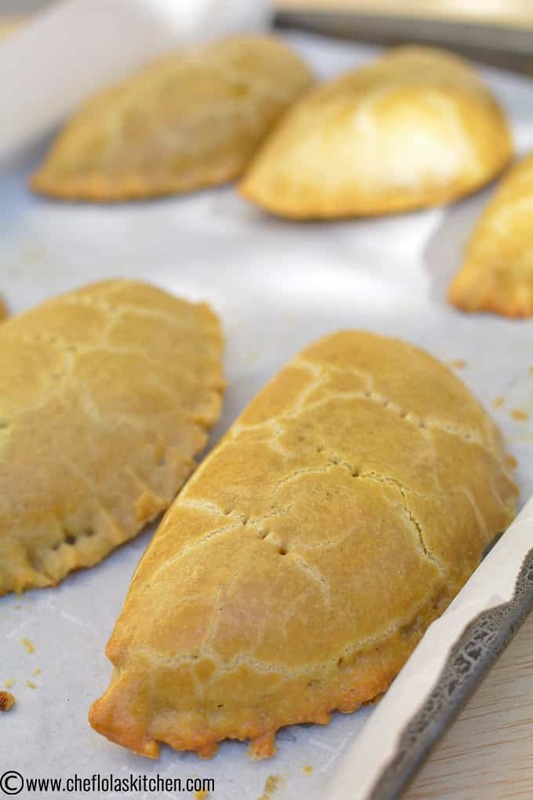 Brushing the surface of the Meat pies with the Egg wash helps in acquiring a more golden and shining crust. The fork pricked holes on the surface of the pie serves as a breathing space for the pies while still in the oven. This recipe yielded 12 medium-size pie both in the American standard cup measurement and the Metric measurement. You can calculate the quantity of ingredients you will need if you need more or less. Good luck with your calculations.